Class starts at 9am Wednesday May 27, 2020 and concludes Sunday at 4pm. 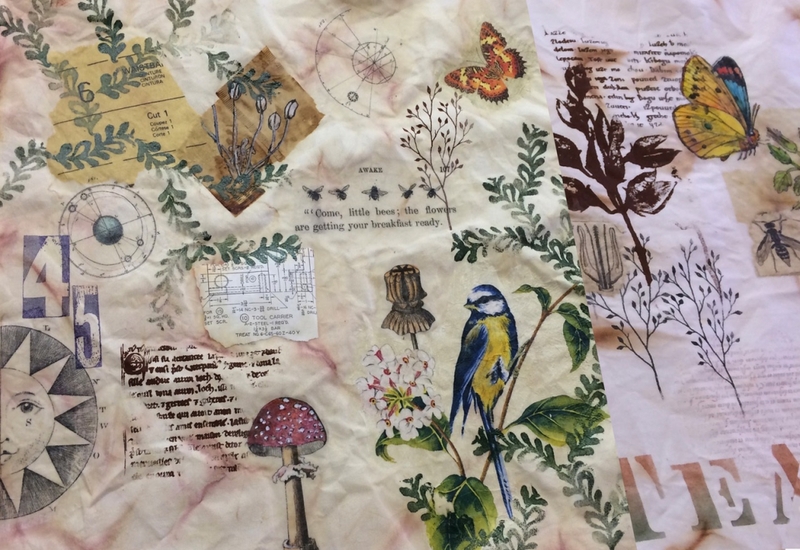 In this intro to mixed-media on textiles workshop students will spend a day; using textile paint, printed paper vintage imagery, thermofax screens, colored pencils, rubber stamps, paint sticks, tea bags and more, while creating a fabric collage to stitch. 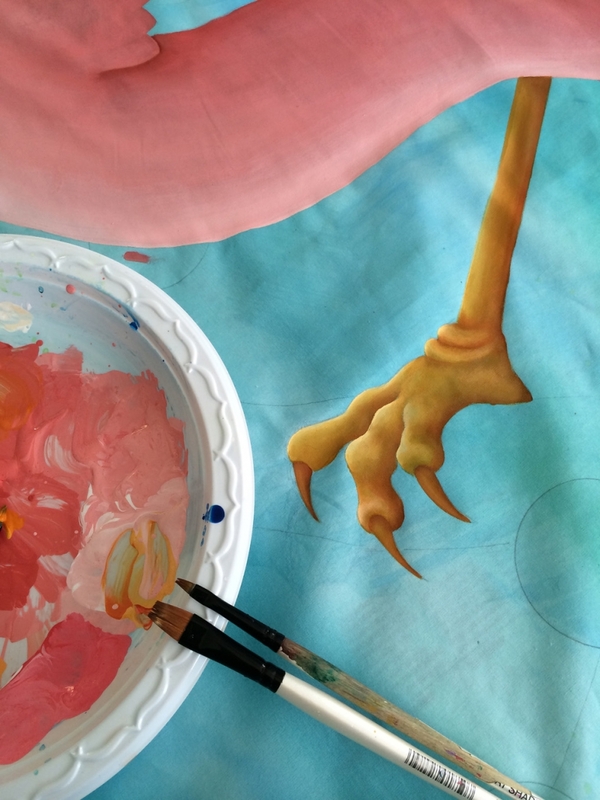 Paint offers endless opportunities for creating special effects on fabric, from adding details, dimension or shadow to creating fully illustrated scenes. 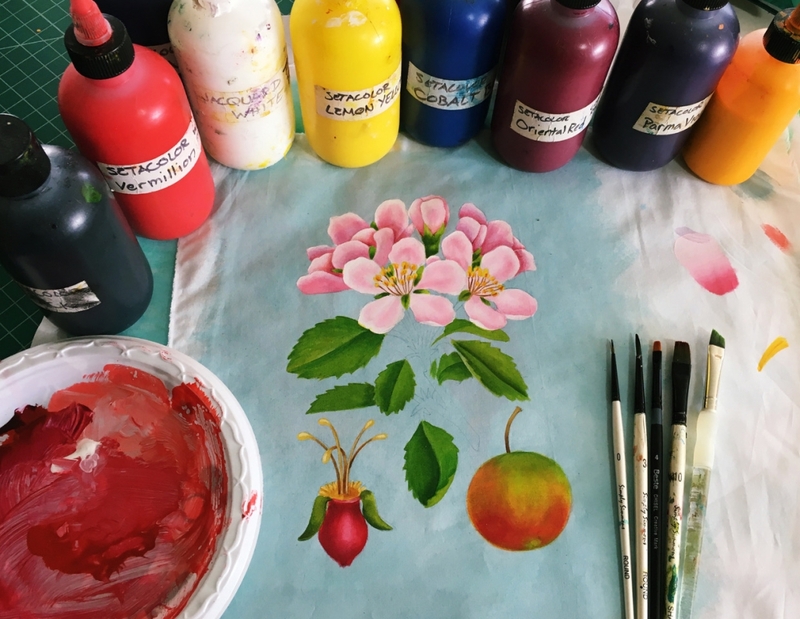 While working with textile paints, students learn to control paint bleeding, paint backgrounds and fill large areas evenly, avoiding blotchiness, learn techniques for creating gradations of color, glazing paint to create more visual depth, and how to work with freezer paper masks, as well as paint fine lines and details. Color theory will also be incorporated into this workshop. Students will learn key color concepts with visual examples in powerpoint, and learn how to mix specific paint colors, while creating color charts on the various principles of color theory. Learning how different paints affect the hand of the fabric, and how to baste painted fabric for quilting will also be covered. 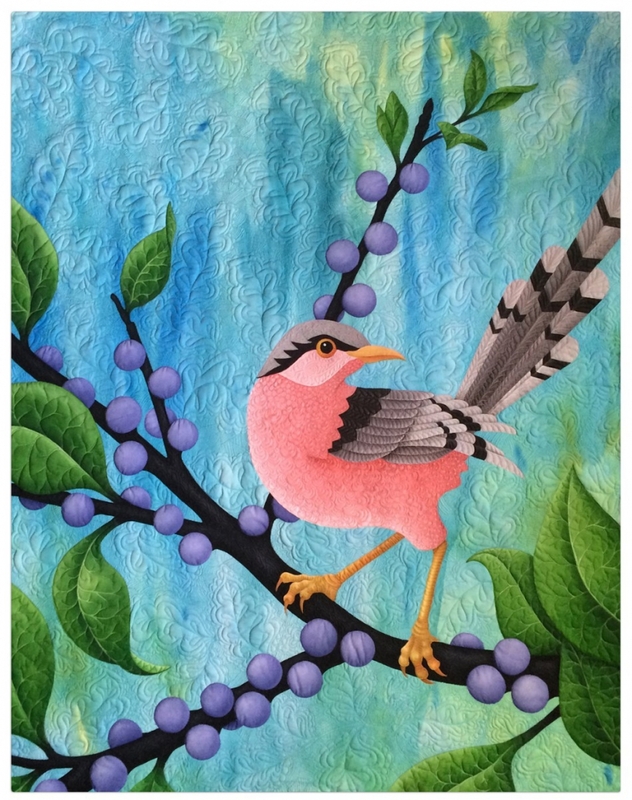 This is an information packed class geared to help students gain confidence painting on fabric for art quilting. 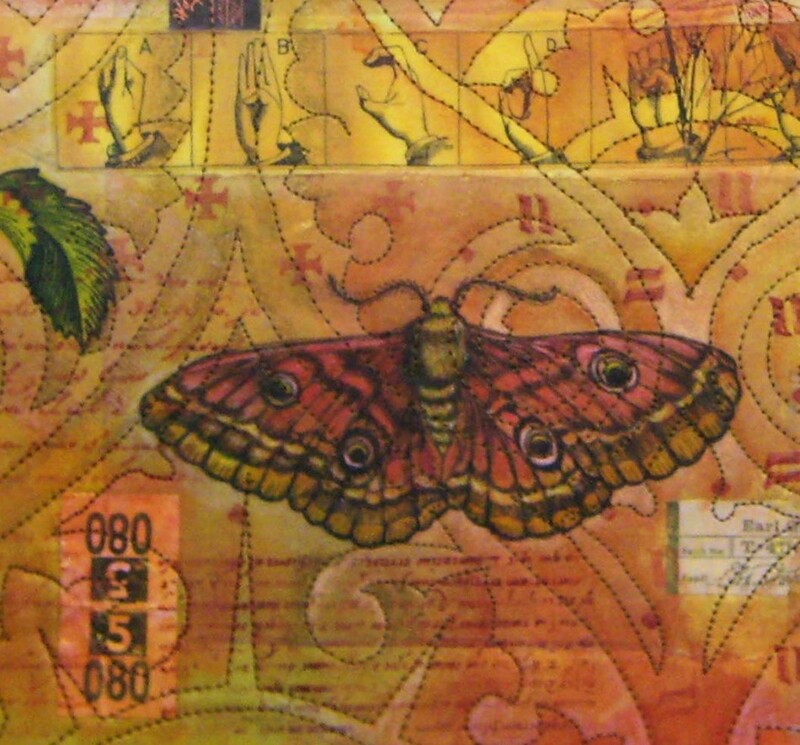 Judy is an International award-winning mixed media textile artist, traveling globally to teach painting and mixed media techniques on fabric and lecture about her creative process. She received her BFA in graphic design from the Otis Art Institute of Parsons School of Design, but found her true passion when she began working with textiles. One part gypsy and two parts visual alchemist, she travels to new places, opening up new realms of possibilities for her students by revealing endless ways to combine paint, paper and metal with fabric and the sources of inspiration we all too often overlook in our immediate worlds.